In May the Faith Be With You, you’ll read through 180 devotions learning the highest, truest, and most rewarding way to a life of wisdom, apprenticing with the Ultimate Master himself—Jesus Christ. 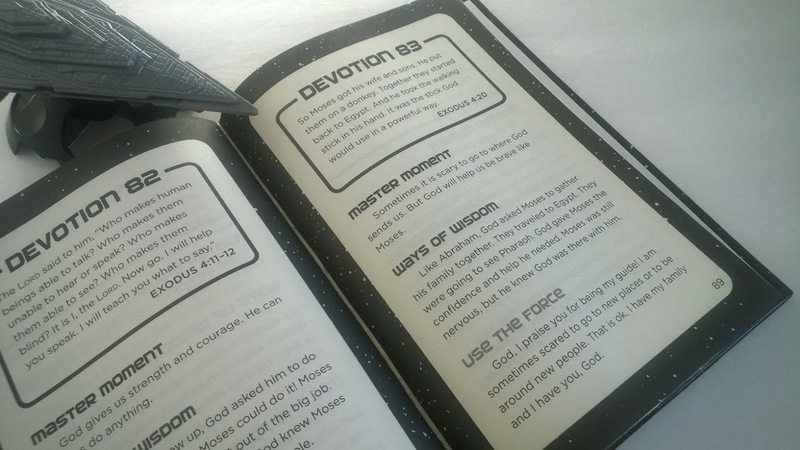 If you've got a kiddo that's crazy about Star Wars or outer space in general this is the perfect devotional for them! One of the habits that we encourage in our home is daily devotions. Each year I try to find new ones that will pique the interest of the intended recipient. May The Faith Be With You has my grandson's name written all over it. I find the whole retro look of the book very appealing. It definitely reflects the time period of the first Star Wars movie. If you were around back then think about what hardback books were like. Remember the glossy cover and the newsprint type of pages? That's just what this book is like. It may be lost on the current generation but I found it fun. The second section is entitled Master Moment. This is the devotion itself. The words encapsulate what the main point of the Scripture message was. The third section is called Ways Of Wisdom. This portion gives a little bit more information about the given Scripture. The final section is called Use The Force. It is like a jumping off point for your closing prayer. I like how it gets the reader started but also allows them to continue on with their prayer time. The Scripture contained is from the NIrV which is written on a 3rd grade reading level. Perfect for the 8-12 year old! Now . . . how about a GIVEAWAY?!! 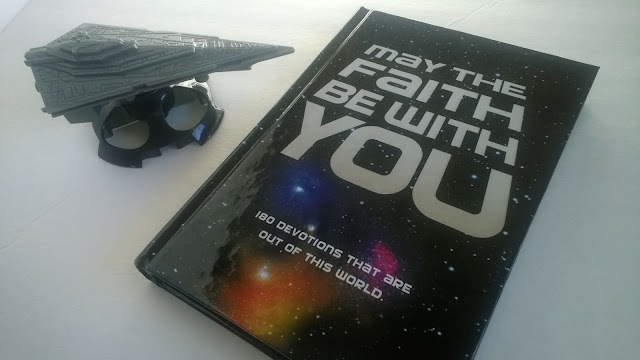 We loved May The Faith Be With You so much that we wanted to make a way for one of our readers to get their own copy. To do that we have partnered with Zonderkidz to give one of our readers a copy of the book. 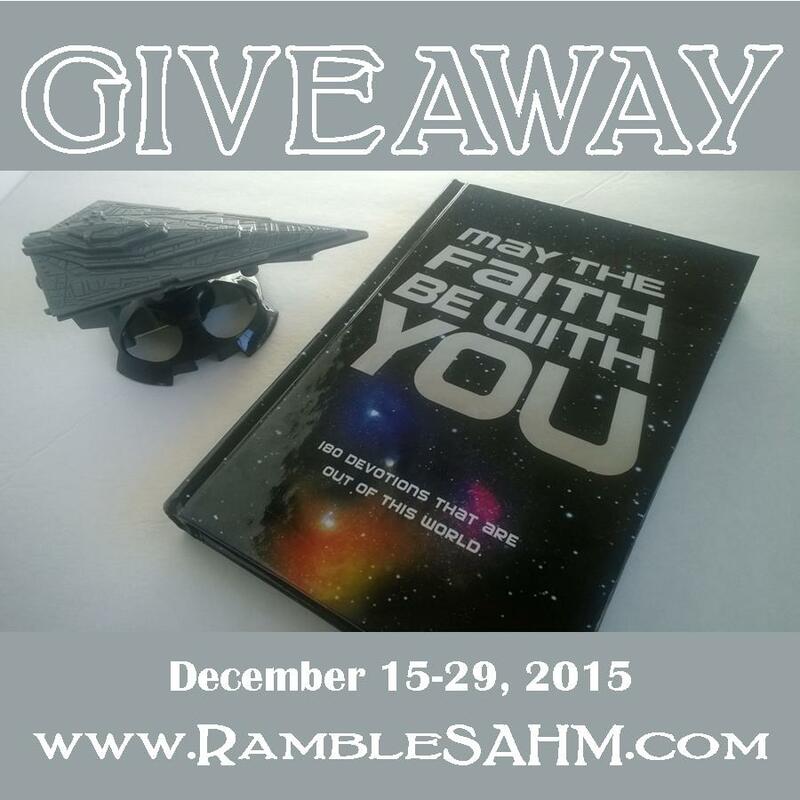 The giveaway is open to U.S. residents and will run through midnight on Tuesday, December 29, 2015. You must be at least 18 years old to enter. The winner will be contacted by email and will have forty-eight hours to claim the prize. If unclaimed, a new winner will be drawn. The winners’ entries will be verified. Please enter the contest using the Giveaway Tools form below. All entries are optional. My son would love this! He is a huge Star Wars Fan!